Zygote 3D Anatomy Atlas & Dissection Lab. This app for iPad and iPhone was developed by the LINDSAY team and Zygote Media Group. 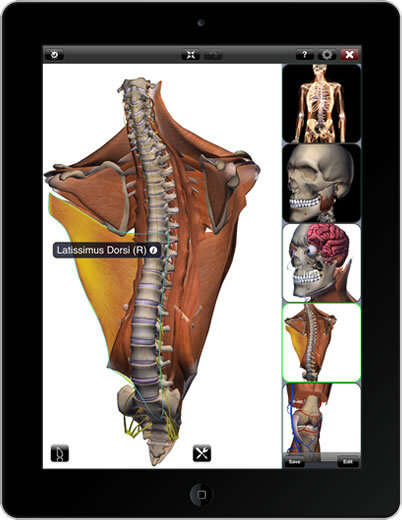 As of July 2013, the Zygote 3D Anatomy Atlas & Dissection Lab is available as an app on the iTunes App Store for iPhone and iPad. This is the first product outcome from a collaboration between the LINDSAY Virtual Human Team and our industry partners at Zygote Media Group Inc. Check out the product showcase page with video tutorials on Zygote’s website.